Our mulch is a Cyprus blend free from bark which floats. This mulch is heavier which allows it to stay in place much better through rain, paw and foot traffic, as well as wind. 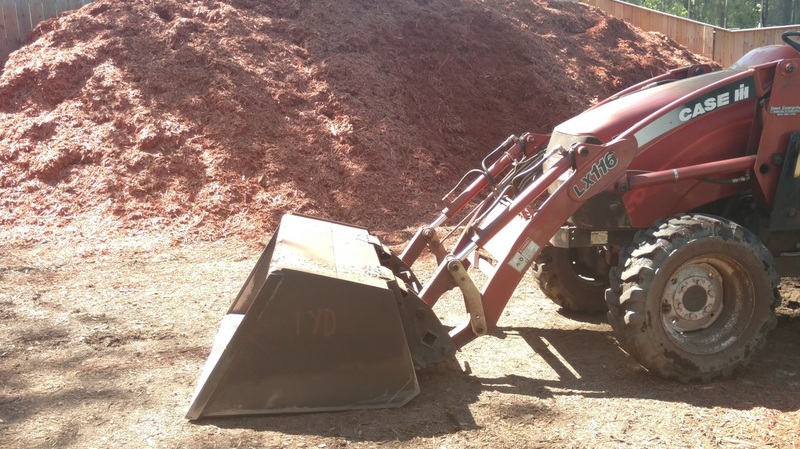 The premium soil we use is sifted free of weed seeds and comes premixed with new leaf organic compost and turkey manure compost. Thus this is the perfect soil for top dressing, planting, patching divots, filling holes from previous plants, and building new beds for shrubs or your vegetable garden. We sell by the cubic yard, one rounded scoop from the bucket, deliver to your home or office, and can spread for you as well!